Learn how to customize the language your visitors see when they chat with you on your website. Please note: if you want to change the language of your conversations tool, learn more about changing the default language in your HubSpot interface. 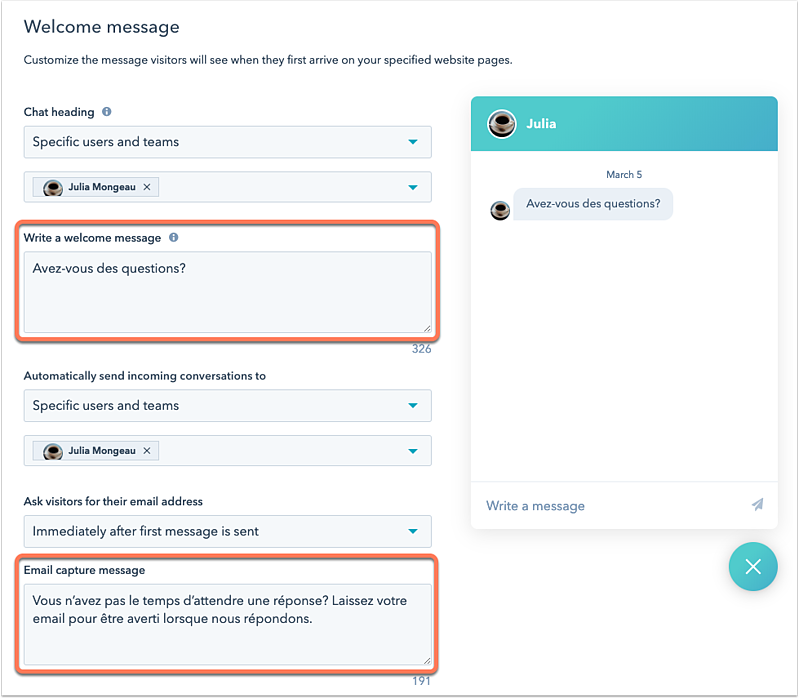 When editing each live chat, both the Welcome Message and Email capture message are entirely configurable and can be changed to any language. For this reason, if you have different language versions of your website, create separate messages and set the target audiences accordingly. In your HubSpot account, navigate to Conversations > Chatflows. Hover over a specific live chat and click Edit. On the Build tab, enter text in any language in the Welcome Message and Email capture message field. Please note: if the chatflow language is set to German or Japanese, the user's full name will display in the live chat widget. The language you select in your chatflow options will be the language your bot message and actions are displayed in. 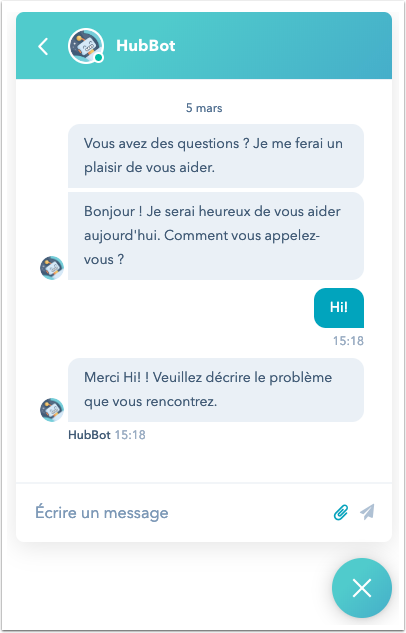 For messages sent by visitors in languages other than English, the bots tool cannot extract all date/time expressions, and cannot fully extract names, number ranges, or iterations of yes or no. For example, when a visitor sends a message in English and uses a date/time expression like “tomorrow at three PM”, the bots tool can parse this into a format like “8/03/2018 at 3:00 PM”. However, if a visitor uses a date/time expression in a language other than English, the bots tool will not be able to extract and translate this date and time from the visitor’s message. The follow-up email containing the chat transcript is sent in the language set in your account settings.